After much pomp and circumstance, the College Football Playoff committee released its first Top 25 ranking of the 2018 season, and the Tigers came in at a program-high No. 3. If the current rankings were to hypothetically hold, LSU would play No. 2 Clemson in their first CFP semifinal appearance with the hope of playing the winner of No. 1 Alabama and No. 4 Notre Dame. Obviously, that likely won’t be the case, however, as the Tigers take on the top-ranked Crimson Tide this Saturday in a match-up that now officially has enormous postseason implications. 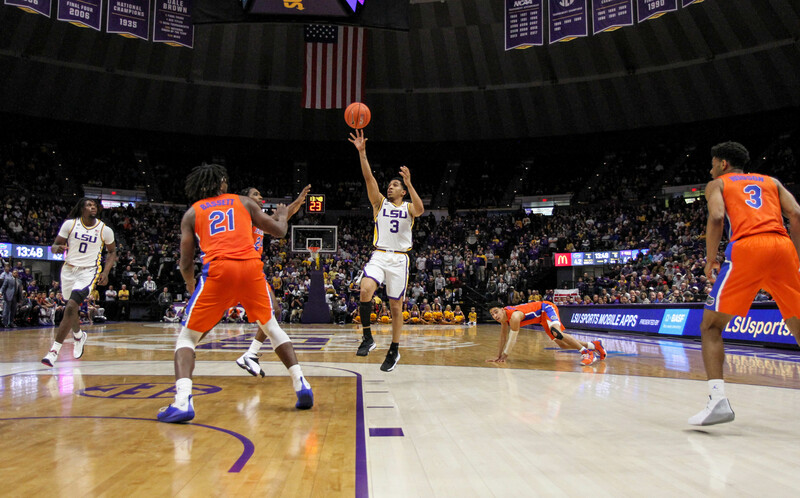 LSU has worked itself up the polls all season with impressive wins against a litany of highly-ranked teams, most recently a 36-16 victory against No. 6 Georgia and a 19-3 win against No. 18 Mississippi State. The Southeastern Conference is well-represented in the rankings with seven teams in the Top 25 and four teams in the Top 10. Even if the Tigers take down the Goliath that is Alabama, their work won’t be done yet. Assuming LSU wins out, it will still have to deal with a team in the SEC Championship Game, which will likely be a rematch against Georgia or a game against Kentucky. Those two teams play each other in Lexington, Ky., this weekend. A road game against No. 20 Texas A&M is also still looming on the schedule for LSU.